X rarely, if ever, marks that spot, but that doesn’t mean that there are no hidden treasures out there just waiting to be discovered. Though many reports and rumours undoubtedly fall more within the realm of myth, others are incredibly real, like the £155 million pounds of silver bullion discovered on a wartime shipwreck in 2012. And while it’s hard to know what to make of many historical reports in our rational modern world, occasionally there really are maps and carefully worded clues, all just waiting to be deciphered. Unlock their secrets and perhaps you’ll get your hands on the loot. 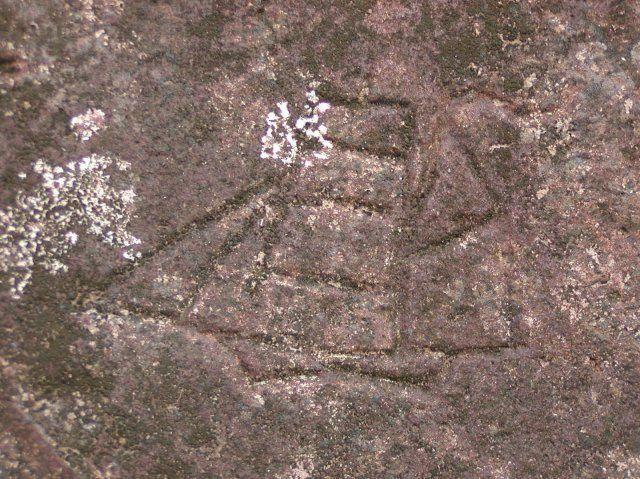 In this article, we’ll examine 10 hidden treasures that haven’t yet been found. Forrest Fenn is a retired art dealer from Santa Fe, New Mexico, and if he’s not certifiably awesome, then no one is. Diagnosed with cancer in 2010, he decided that he was going to leave behind something epic. So he filled a chest with gold nuggets (some as big as eggs), pre-Columbian gold animal statues and 17th century jewelry. Then, he buried it somewhere in the American west. His cancer is thankfully in remission, but he still had no idea how long it was going to take anyone to find his hidden treasures – even with the clues he left behind. Coded into a poem are supposedly the directions to find the lost treasure, but no one’s gotten there yet. Knowing that he very well may die before anyone finds his loot, he included a copy of his autobiography in the chest, along with a life’s worth of pictures and a few strands of his hair, so DNA testing could unlock every mystery about the man who buried his treasure out west. So far, he’s offered clues to help narrow down the search. It’s somewhere in the Rocky Mountains, north of Santa Fe, and not in Canada, Utah, Nevada or Idaho. It’s more than 5,000 feet above sea level. He’s received tens of thousands of emails asking for more help, but he’s not giving up his secrets. Even his wife doesn’t know where Fenn’s treasure is hidden, but with its value increasing every year it’s out there, Fenn says he’s going back for it when it hits the $10 million mark. The tropical paradise of Cocos Island, a UNESCO World Heritage Site, sits off the coast of Costa Rica. According to legend, it’s the final resting place of millions of dollars of buried pirate treasure. The most notorious of this hoard is the Treasure of Lima. Worth an estimated £160 million, it was supposedly buried on the island in 1820 by a trader turned pirate named William Thompson. Thompson was hired to take the treasure – which included more than 100 gold statues, 200 chests of gold and countless gold and silver bars – from Peru to Mexico. Instead of transporting it, he stole and allegedly buried it on the island – only, it’s never been found. 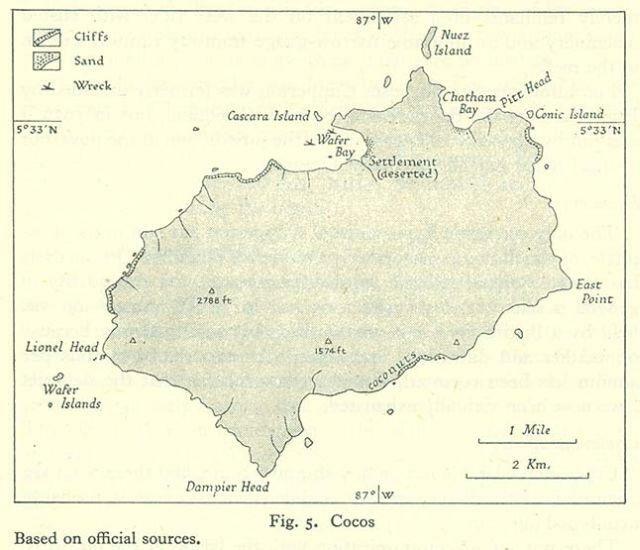 Cocos Island is also rumored to have been a haunt for pirates as they patrolled the Caribbean in search of riches. Captain Edward Davis is said to have used the island regularly to stash his loot until the heat died down, and Portuguese pirate Benito Bonito is said to have left a massive treasure hoard on Cocos. The island has been explored by countless treasure hunters over the decades. One man, August Gissler, spent 19 years searching for Cocos Island’s lost treasure. He walked away with a couple of gold coins for his trouble. 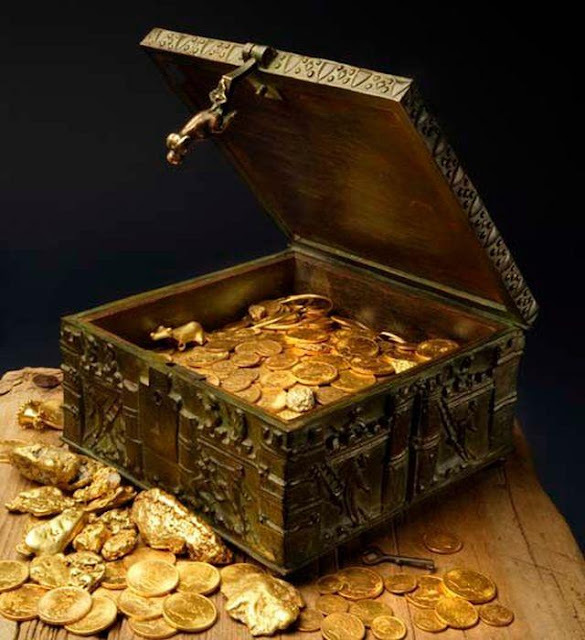 In 1856, a group of treasure hunters were reported to have been successful when they unearthed a chest full of gold doubloons. Now, treasure hunting is forbidden on Cocos Island, although scientific research isn’t. There are regular expeditions there, not only with the intent of finding hidden treasures (though that would be a bonus), but also to study the island’s unique ecosystem. The term “crown jewels” can be a little misleading, as in this case. 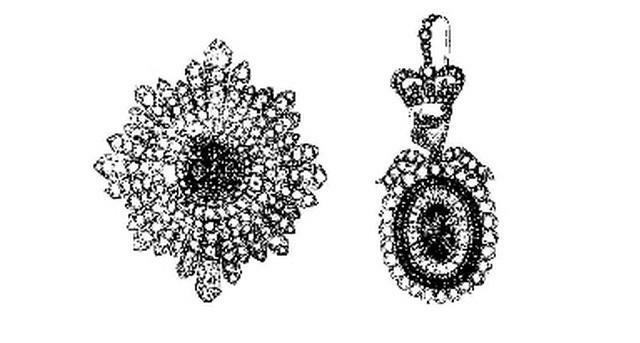 The Irish Crown Jewels didn’t involve a crown of any sort and weren’t even associated with the coronation ceremonies that are usually thought of in connection with such regalia. Instead the set, which included a jeweled star, five gold collars and a diamond brooch, all belonged to the Order of St. Patrick. 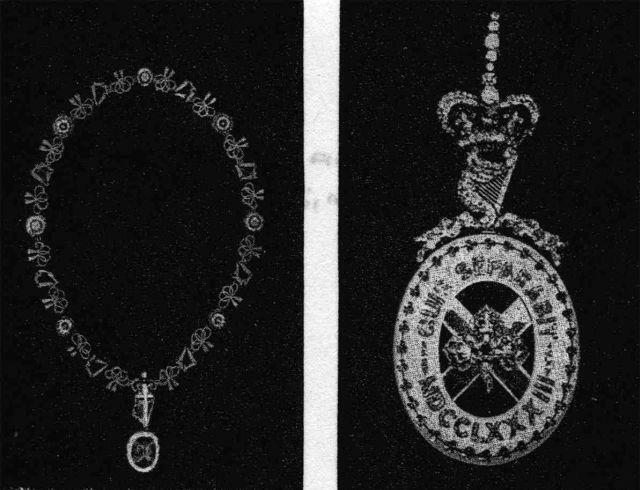 The jewels were the responsibility of the Ulster King of Arms, and on July 6, 1907, it was discovered they had been stolen. For years, the jewels had been kept in a bank vault – it was only four years before the theft that they were moved to a safe in the library of Dublin Castle. At the time, the master of the keys was a man named Sir Arthur Vicars. 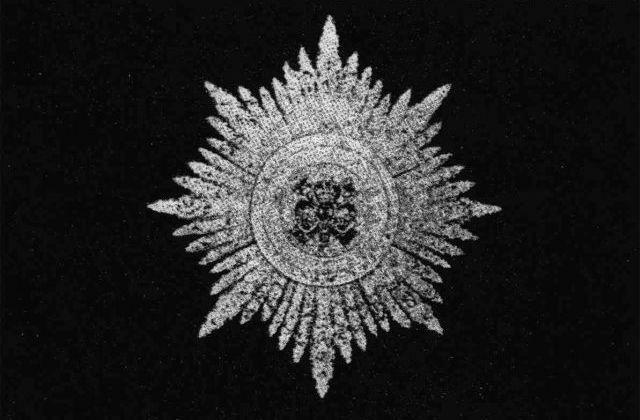 Vicars, holding a position that had been instituted in 1552, was immediately accused of not taking all the proper precautions when it came to securing the jewels. There were two keys for the safe: one he carried with him all the time, and a few months before the theft, he’d rather lost track of the other. The second key, normally kept in a locked drawer in his personal desk, got attached to a key ring with a series of other keys. They were found by a maid, and returned to his possession. That was in May of 1907 – two months later, the jewels were gone. They were last seen on June 11, and confirmed missing on July 6. According to Vicars, the culprit was one of his other heralds – Francis Shackleton, brother to the famed Arctic explorer. While it’s never been confirmed (in spite of Shackleton’s rather checkered life and poor reputation), it was Vicars who got the worst of the blame. He was ultimately removed from his position amid rumors of being at the center of some rather sordid, scandalous orgies at Dublin Castle. In 1921, Vicars, who was living at an estate house in County Kerry, was shot and killed by the IRA. The jewels have never been recovered. Today, it’s thought that it’s pretty likely that Shackleton (who disappeared in 1915 after being imprisoned on another charge) was responsible for the theft. With the high profile of the jewels, it’s likely that they were broken apart and sold, but they’re still out there… somewhere. According to legend, the southern part of the United States is filled with hoards of Confederate gold just waiting to be discovered. 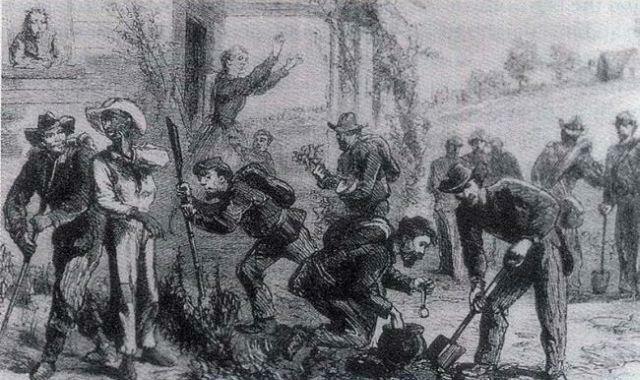 Throughout the Civil War, Georgia was producing massive amounts of gold; when Union troops were threatening, much of the gold was hidden to keep it out of northern hands. When Richmond, Virginia was captured by the Union, the Confederate treasury was empty – and much of it is still said to be up for grabs. 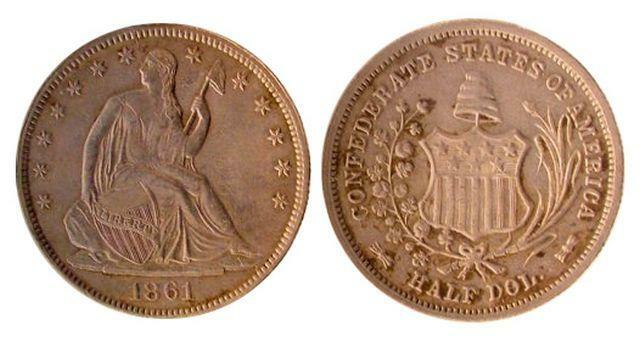 At the end of the war, Jefferson Davis was heading south with nearly half a million in gold and silver coins. The money was destined for the pockets of loyal Confederate soldiers, and some of it reached the men it was meant for. Before it could all be distributed, though, the caravan was attacked and robbers made off with what was left – about half. While some was recovered, a good amount is still missing. And this treasure isn’t mythical. In 1977, an Arkansas man decided that it was about time he did something to find the treasures that his grandfather told him stories of as a boy. Bob Brewer has retraced the steps of a Civil War era group called the Knights of the Golden Circle, and in the process of following in their footsteps – and unraveling the secrets that have been passed down through his family – he’s unearthed hundreds of thousands of dollars in Confederate gold coins. This one’s a bit different, in that we theoretically know where the treasure is, we just don’t know what it is. 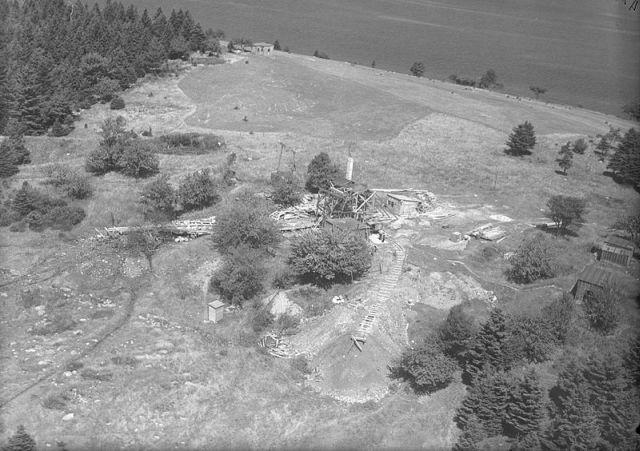 In 1795, a group of men came across something odd on Nova Scotia’s Oak Island. They found a pulley, and nearby was a section of ground that looked rather sunken. They started digging, and found what seemed like a man-made hole that had been purposefully blocked by a layer of logs every 10 feet or so. Over the next decades, others have had a go at excavating the pit. The deeper it’s dug, the more it flooded, though, and it was thought to be booby-trapped. But no one would have gone through the trouble of protecting the hole if there wasn’t something truly amazing at the bottom of it, so digs continued. Now, more than two centuries later, the treasure hunt continues. What started out with a dig using picks and shovels has been updated to use computer imaging and ground-penetrating radar, but the mysteries of the pit haven’t been cleared up in the least. Skeptics say that it’s nothing more than naturally occurring phenomenon, but believers that there’s something down there have a whole slew of suggestions as to what it might be. Theories are all over the place – some people believe that the pit was dug by early visitors to the island, like the Vikings, while others think it’s the location of pirate treasure. Others suggest it has something to do with the Knights Templar, and that it’s the hiding spot for the Holy Grail. In the 1930s, archaeologists working near Beijing uncovered one of the most important finds in the history of our species. They discovered the remains of 40 people, dating them to 770,000 years ago. The oldest examples of ancient humans that have ever been discovered, the remains were packaged and shipped to the United States in 1941. Before they were packed off and shipped on their way – presumably for safekeeping during the eminent war that was looming – casts were made of the bones. When you see an exhibition of the Peking Man today, all you’re seeing are the casts. Over the following decades, there have been a number of theories as to where the bones are today but, at the end of the day, we don’t even really know how far along their journey they made it before they disappeared. 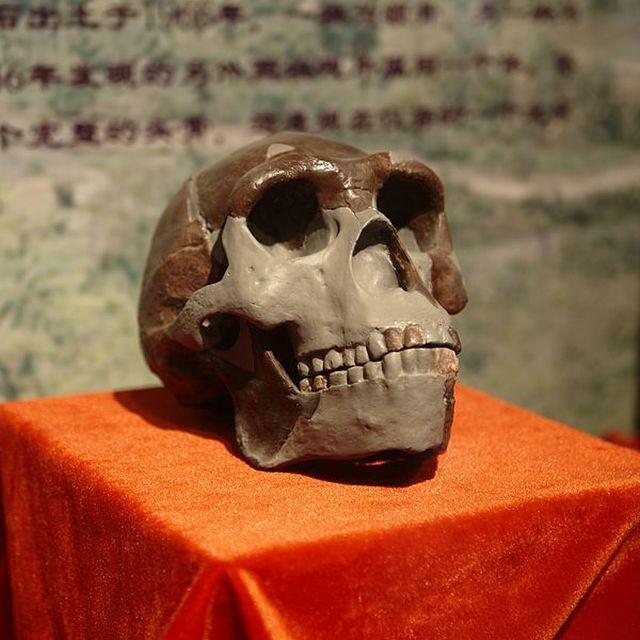 One statement made by a Marine indicated that he found the fossils while he was in the city of Qinhaungdao. Not knowing what else to do with a box of human remains, he buried them. Other theories suggest that the bones were destroyed one way or another on their journey, another casualty of the war. They may have been seized as trophies, or they may have been sunk with the rest of the cargo on their doomed ship, or they may have been destroyed. 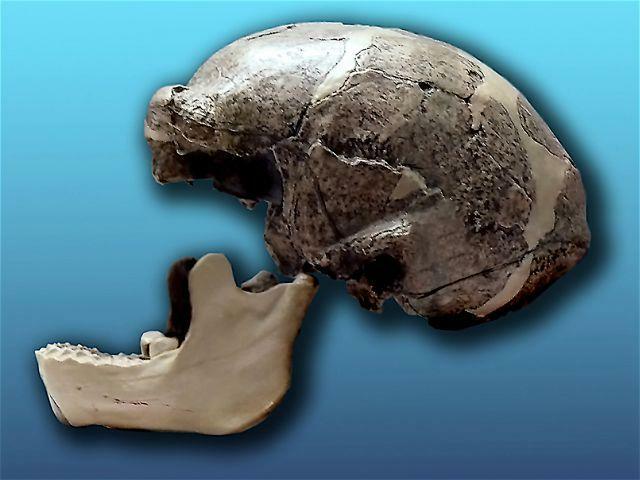 Formal inquires from governments and scientific organizations have uncovered no trace of the fossils and no new information that’s anything more concrete than speculation. Much like Ireland’s Crown Jewels, the collection of artifacts that was stolen in 2011 was much, much more than a crown and a sceptre. 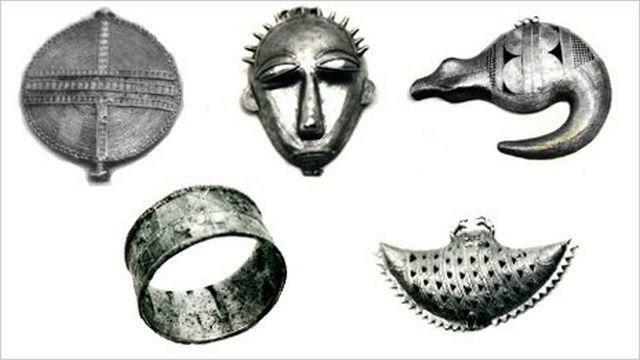 More than 80 pieces belonging to the Ivory Coast royalty was stolen from the Museum of Civilizations in what experts suspect was a theft planned with help from the inside. Among the oldest items were 12 necklaces from the 17th century, and 35 gold ones from the 18th century. There were also gold boxes, swords, tribal masks, religious artifacts, and a head dress. There’s still considerable hope that the treasures will show up. Unlike treasures past, all of the artifacts are completely documented, and documentation is shared with museums around the world – along with organizations that thieves might try to use to move the artifacts through. While timing for a theft like this is never good, this one was particularly unfortunate. Recently through a governmental power struggle, museum curators say that the crown jewels were a symbol of a nation – and a people – in desperate need of reestablishing their cultural identity. 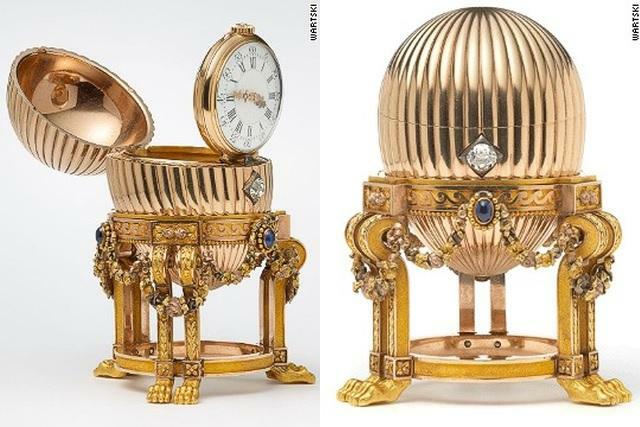 Around the turn of the 20th century, members of the Russian Imperial family commissioned and purchased a series of exquisite – and expensive – Faberge eggs. The eggs, all unique, were presented as gifts to different members of the family. There were about 66 eggs in total, and when the Bolsheviks came to power and the royal family fell, the eggs were scattered. Most of them were stored in the Kremlin Armoury, while family members took others with them as they fled Russia. A handful of others were looted, and disappeared completely. When Stalin rose to power, he saw the eggs not as cultural treasures but as a way to make some pretty serious money, and put many of them up for sale – in spite of attempts made by Kremlin curators to hide some of the eggs to keep them in their homeland. We know where many of the eggs ended up, but some are still missing – and, unlike some treasures that seem to show little sign of being found, we know that the eggs are absolutely still out there. 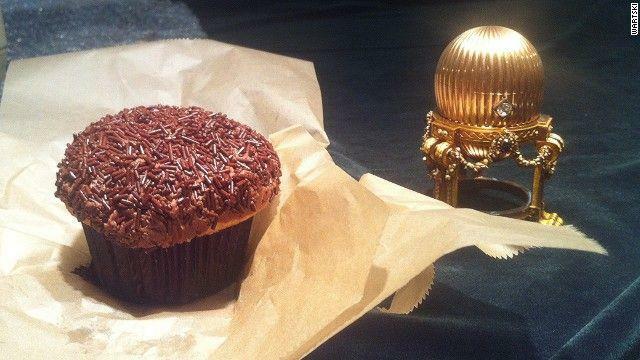 In March 2014, an anonymous man from the Midwestern United States took a gamble on a gold egg he saw at a rummage sale. It turned out to be the third in the series of eggs, the long-missing token of love given to Tsarina Maria Feodorovna by her husband, Tsar Alexander III. His swap meet purchase turned out to be worth millions. Other eggs are still missing, and while it’s thought that some have been destroyed over the decades, it just goes to show that you never know what you’re going to find at a rummage sale. There’s plenty of lost treasure from World War Two; rumours of Nazi gold, stolen artifacts and long-lost paintings continue decades after the war. One very specific treasure are the gold bars and diamonds from Hitler’s personal stash – and according to some, the clues to find it are out there. According to the story, at the end of World War Two Hitler’s elite took possession of his personal treasure – including more than 100 bars of gold and a set of diamonds known as the “tears of the wolf”. The treasure, assumed to be bound for Heinrich Himmler’s hands, disappeared somewhere in Bavaria, and for decades, people have been scouring the area looking for the lost gold and diamonds. Recently, a Dutch writer revealed that he had uncovered what he believed was essentially a treasure map, cleverly coded into a piece of sheet music. The music, Gottfried Federlein’s Marsch-Impromptu, was annotated with strange markings and seemingly random scribbles. 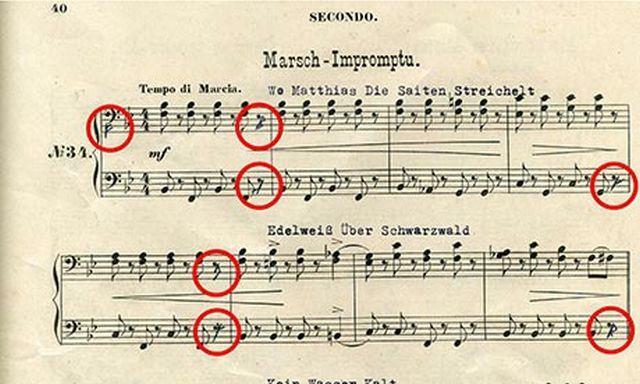 Convinced that the margin notes of the sheet music refer to the treasure’s ultimate location, entrepreneurs think they’ve narrowed the location down to Mittenwald, Bavaria. A few test holes have been dug and nothing’s been found so far, but that hasn’t stopped groups from all over from descending upon the town with treasure-hunting equipment in hopes of finding Hitler’s lost gold. 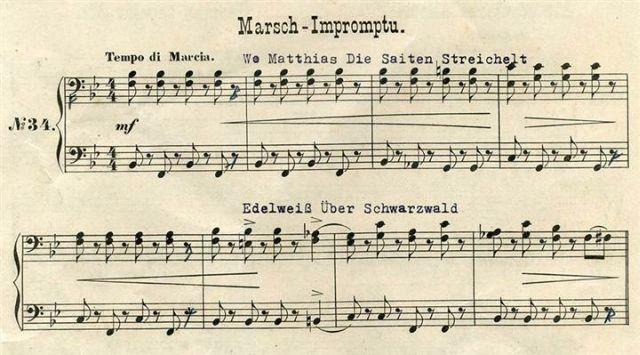 Of course, there’s more than a piece of sheet music that ties Bavaria to the lost Nazi treasure. The region was once destined to be the home of an elite SS fortress built by Himmler; it’s a logical place for treasure to have ended up, and in some cases, it’s the last place some of it was seen. Not all treasures consist of gold, silver and jewels, and not all treasure hunters have to go off to some exotic island or scour the bottom of the ocean to find their stash. In fact, these lost treasures might be sitting in your attic right now. It’s estimated that somewhere between 50 and 70 percent of all films made before 1950 have been lost – the farther back you go, the higher that percentage gets. And that doesn’t just mean there are missing film starring people that no one’s ever seen or heard from since. There’s missing films from Alfred Hitchcock and Orson Welles, and until recently, there were a handful of missing Peter Sellers films, too. In 2014, two of his movies made their debut after being saved from a dumpster – after they’d sat in a janitorial closet for decades. No one had given the canisters a second look until an office renovation, when the long-lost movies were discovered. So what’s missing? It’s hard to tell, really, as there’s countless movies that no one remembers that are simply gone. The British Film Institute has a site for their most wanted films that we do know about, and they include some pretty hefty titles. Missing is the first film adaptation of Sherlock Holmes, A Study in Scarlet. There’s the 1919 The First Men in the Moon, notable as being the very first of H.G. Wells’ films. Alfred Hitchcock’s second film, The Mountain Eagle, is long missing, along with The Last Post, the first film by Britain’s first female director, Laurence Olivier’s first British film, 1930’s Too Many Crooks, and the first film of Errol Flynn, 1935’s Murder at Monte Carlo. There’s hundreds, if not thousands. Missing films have turned up in archives all over the world, they’ve surfaced in basements, in attics, in museums.